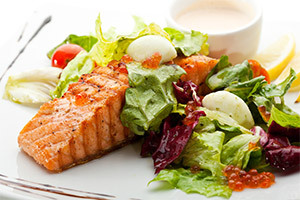 Do you find it hard to stick to a healthy diet during celebrations and holidays? Do you wish you could enjoy special occasions without binging on unhealthy food and drink? Your diet's going well. 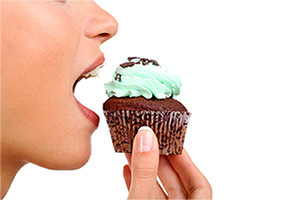 You've been sticking to healthy food and avoiding temptation when it rears its head. But there's one problem; there's a big occasion coming up, and you know what that means. Whether it's Christmas, Thanksgiving, a birthday, or any other big social event, celebrations can make it difficult to say no to tasty treats. It's easy to tell yourself you'll take a break from that diet, just for today, because it's such a special occasion. And while it's important to maintain an element of flexibility in the way you eat, when the events begin to fill your diary and you find yourself having more "treat" days than healthy ones, it's time to make a change. Because when you repeatedly give in to temptation, it's easy to lose momentum. Being able to enjoy a celebration without consuming unhealthy food or drink is an important life skill. It means not bowing to social pressure, inner compulsions, or a need to please those around you. And the good news is that you can learn this skill. Enjoy Healthy Celebrations is an audio hypnosis session that will help you treat your body with kindness, while still making the most of social events. Feel you have more choice in life. Download Enjoy Healthy Celebrations and choose to prioritize your own health and wellbeing when at social events. Healthy Celebrations has been purchased by 40 customers.